Some people like us use Cars to travel with their family/friends, while other rich people drive these luxury cars just to show off their wealth. These expensive luxury cars are not meant for racing or even regular travel. But most of the rich people buy them just to flaunt their money. Today, we are going to share a list of the most expensive cars in the world that normal people can’t even dream to buy. And some of these cars can cost as high as $8m while the lowest is going to cost you $2.5m. Check out the list. 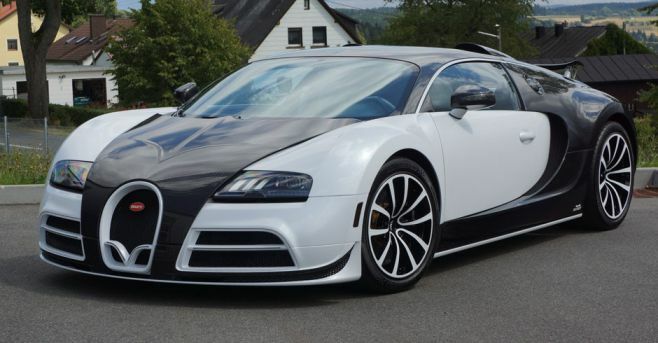 Bugatti Chiron is a mid-engined, two-seater sports car, designed and developed by the Bugatti automotive group, as the successor to the Bugatti Veyron. This car is a 1500-hp smackdown of every hypercar ever produced in the history of time. An 8.0-liter sixteen-cylinder engine utilises four turbos to make 1500 hp and 1180 lb-ft of torque for what is surely an epic acceleration. 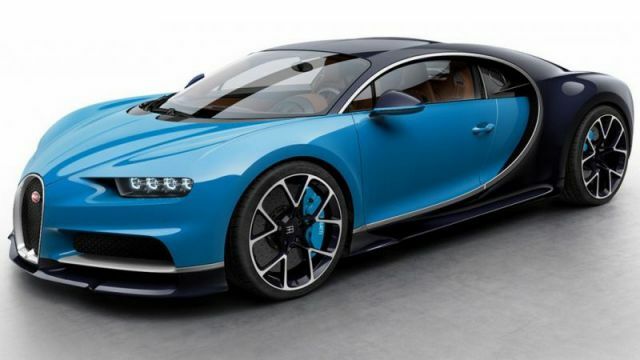 Furthermore, Bugatti claims a top speed of 261 mph. Having such features and coming with a price tag of $2.5m, it has just made to our list of most expensive cars in the world. 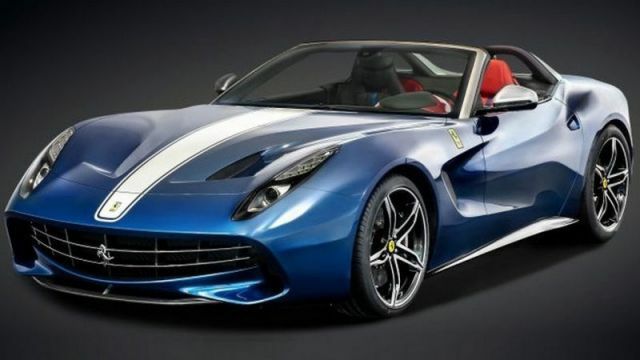 The 2015 Ferrari F60 America has no roof, for a more effective display of a pair of leather-trimmed roll hoops flowing into carbon-fiber-trimmed flying buttresses. The front-mid-mounted V-12 puts out 730-horsepower and is able to develop acceleration of 0-60 miles per hour in 3.1 seconds, and reaches a top speed of 210 mph. Compared to the F12, the F60 has all-new bodywork; it uses a light removable soft top instead of a conventional convertible top. The Huayra BC model debuted at the Geneva Motor Show in March 2016. 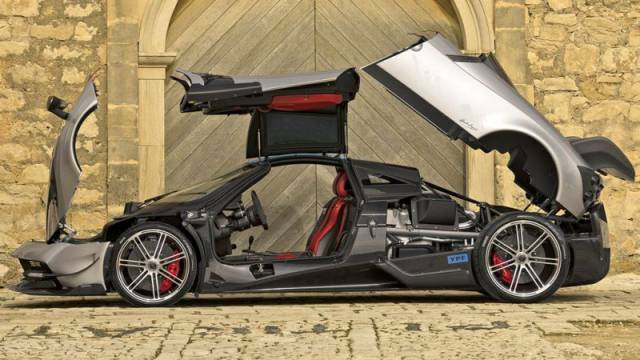 The Huayra BC is named after the late Benny Caiola, a friend of Horacio Pagani, and the first Pagani customer. With a 6.0 litre V12, twin turbocharged AMG engine, and producing 789 brake horsepower (588 kW) as well as 811 lb⋅ft (1100 Nm) of torque, this car is many people favourite. Also, it comes with a huge price tag of $2.6m, that’s why it has made to our list of top 10 most expensive cars in the world. 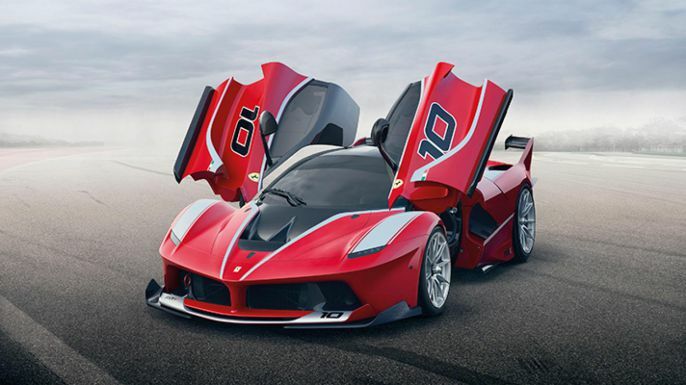 The Ferrari FXX-K is a high-performance limited production track-only race car built by automobile manufacturer Ferrari in Maranello, Italy and designed by architect Flavio Manzoni director of Centro Stile Ferrari. It employs the same basic V12-plus-electric drive-train as the road-going La Ferrari but making, even more, power. Moreover, with a total output to 1036bhp coming from the 6.3-litre naturally aspirated V12 9200rpm and combined torque that stands at ‘over 664lb ft’, this car is surely a dream of every car lover. 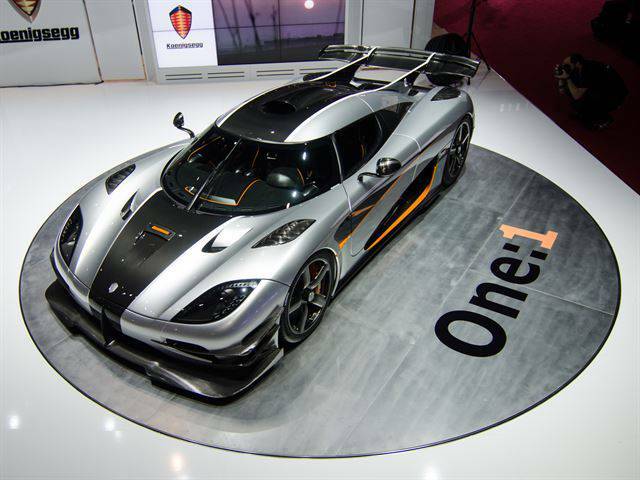 The Koenigsegg One:1 was first presented at the March 2014 Geneva Motor Show. The vehicle’s capable of developing acceleration of 0-400 km/h (0-250 mph) in jaw-dropping 20 s, 0-60 mph(0-100 km/h) in 2.5 sec. It reduces the speed of 400-0 km/h in only 10 s, and its braking distance is 28 m (100-0 km/h). With such great features and a hefty price, it surely deserves a spot among the most expensive cars in the world. Also, check out: List Of Top 10 Most Expensive Houses In The World 2016. This Bugatti Veyron was custom crafted by Mansory Germany- their Pinnacle Flagship of Design called Veyron LINEA VIVERE. It comes with an 8.0-liter W16 engine producing 1,200 horsepower and 1,106 pound-feet. By far, it is the most powerful beast present on our list. Also, it has a top speed of 410kph/255mph and it can go to 0-100kph in just 2.5 seconds. Lykan Hypersport is a Lebanese limited production hypercar by W Motors, a UAE based company. It is the first supercar to be produced in the Middle East and is featured in the film Furious 7, and many video games. 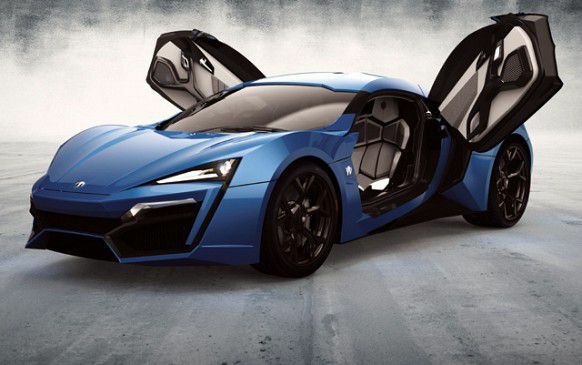 The Lykan HyperSport is powered by a 3.7 litre (3746cc) twin-turbocharged Flat-six engine. Furthermore, it has capability to produce 581.6 kW (780 hp) and 960 N·m (708 lb·ft) of torque. 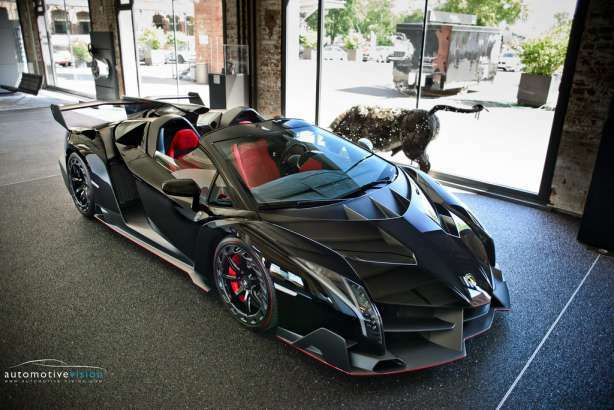 The Lamborghini Veneno is a limited production supercar based on the Lamborghini Aventador and was built to celebrate Lamborghini’s 50th anniversary. When introduced in 2013, it was the most expensive production car in the world. It can go up to 0-60 time well below 3.0sec and a top speed of 221mph. Although, it doesn’t have a roof so its not good to take this car for a drive in rainy days. It came into limelight when the rumours come to the surface that this car purchased by world champion boxer, Floyd Mayweather. Only three CCXR Trevitas were planned to be produced. However, because of the complexity to make the special white carbon-fiber, only 2 were ever made. 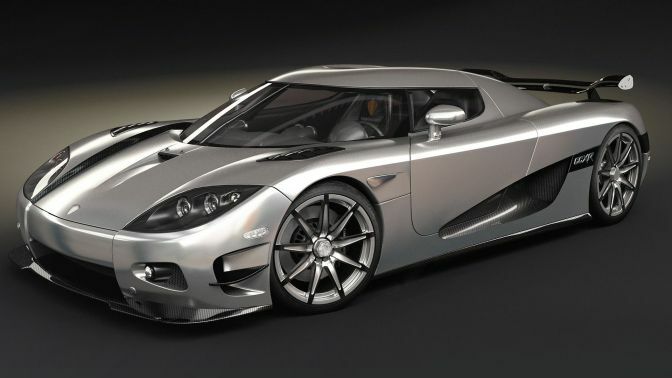 While it makes it one of the rarest vehicles manufactured by Koenigsegg. It has a 4.8l V8 engine, DOHC, 4 valves per cylinder and twin superchargers. Also, with a hefty price tag of $4.8m, it is the first runner up in our list of most expensive cars. So, now is the time to reveal the car who has topped the list of most expensive cars in the world. Mercedes-Benz Maybach Exelero that comes with a huge price tag of $8m tops the list. 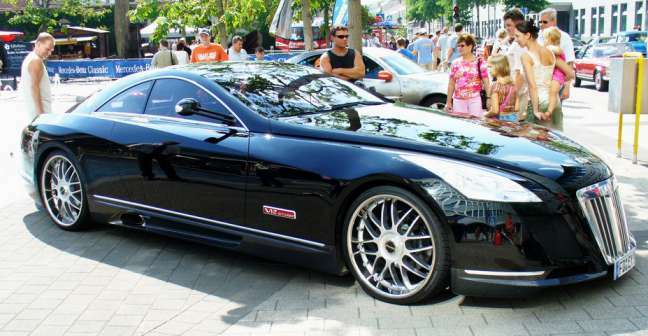 The Maybach Exelero is a high-performance unique sports car built in 2004. The 700 hp (522 kW) four-seater with a twin turbo V12 engine is a one-off design built by Maybach-Motorenbau GmbH. Furthermore, it was built on request for Fulda Tires, the German division of Goodyear. The car is famous for being portrayed in an episode of long-running German show Cobra 11. Also, let us know if you like this list of top luxurious and most expensive cars in the world.